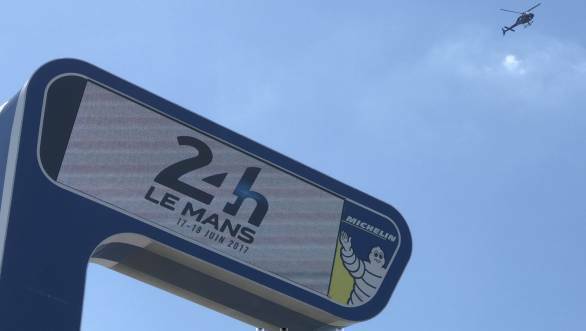 The racing has finally begun at the 2017 24 Hours of Le Mans! 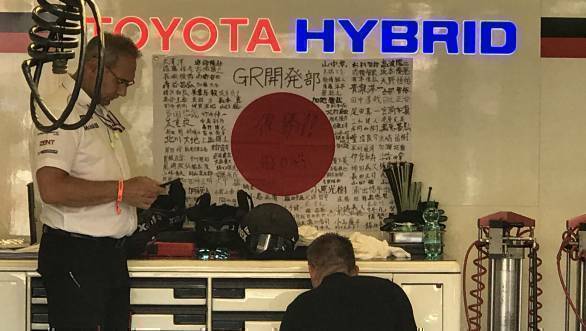 It's been eventful so far, with the Toyota Gazoo TSO50s looking very competitive, and bad luck striking the Porsche LMP1 team. 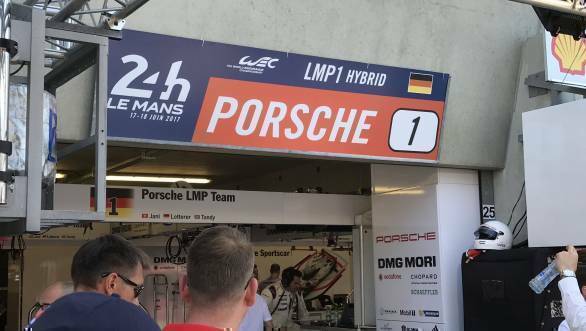 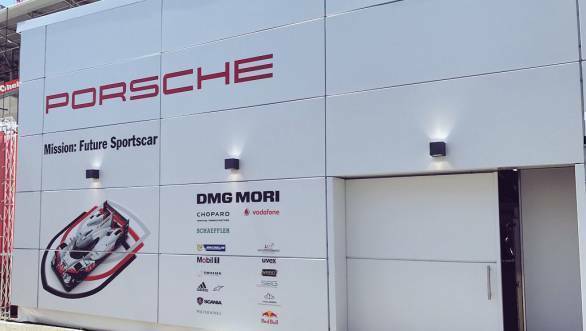 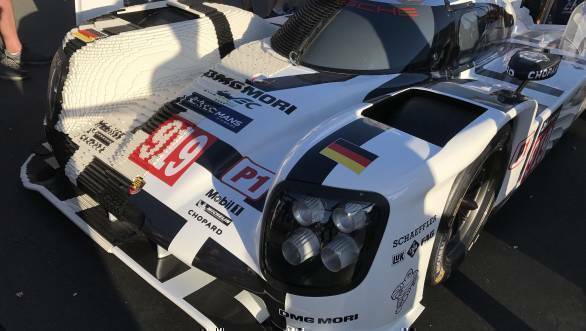 Approximately seven hours of racing are already done at the Circuit de la Sarthe, and the No.2 Porsche 919 Hybrid is back out on track after approximately 65 minutes inside the garage. 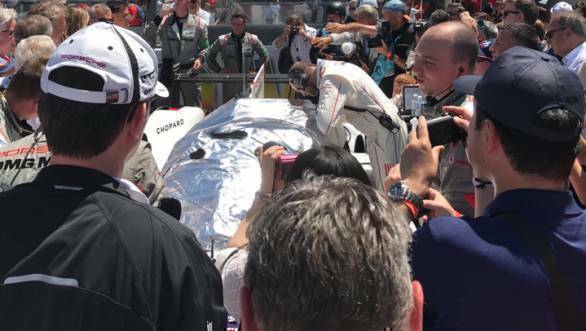 The reason for very long pitstop was the fact that the car had an electrical problem - apparently loss of drive from the front axle - that was discovered when Earl Bamber was out on track. 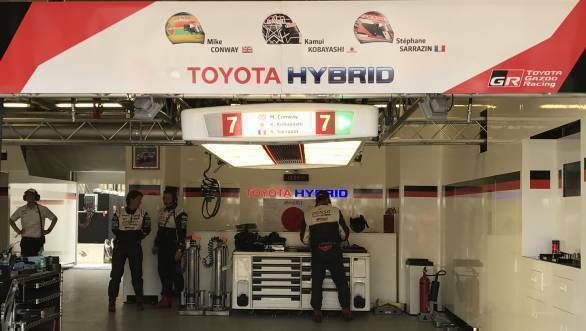 At the head of the order is the No.7 Toyota with Stephane Sarrazin at the wheel, followed by the No.8 Toyota of Kazuki Nakajima, and the No.1 Porsche 919 Hybrid with Andre Lotterer driving. 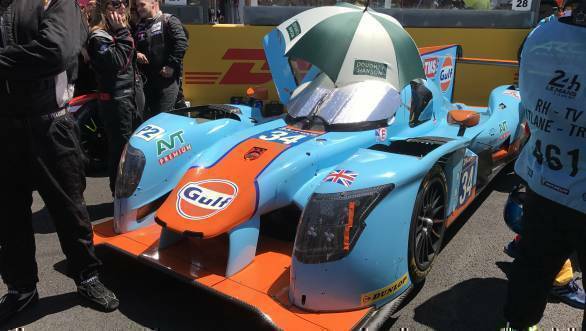 But before the racing started, there was plenty of opportunity for fans to go out on track for the pitwalk and grid walk. 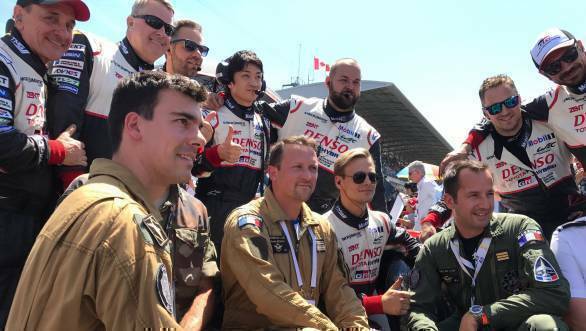 It was crowded and chaotic, with a lot of people jostling each other to get selfies. 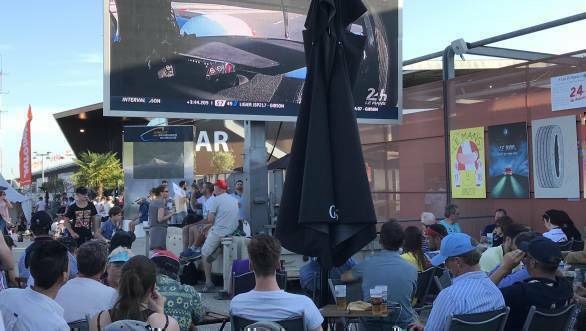 Which is why we ask you to excuse us for the rather poor photography, but it will give you some idea of just what the Saturday at Le Mans is like. 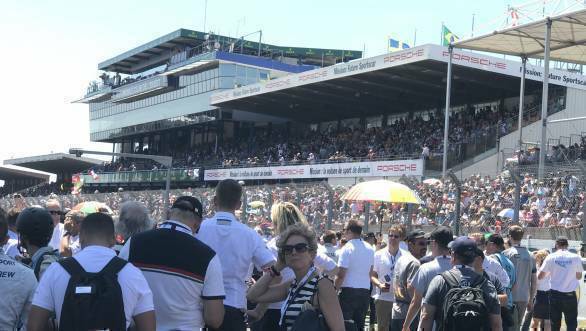 Ahead of the start of the race, the grandstands are packed as people head onto track for the grid walk. 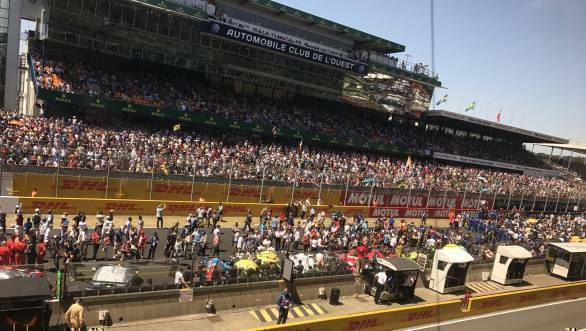 Gets rather crowded! 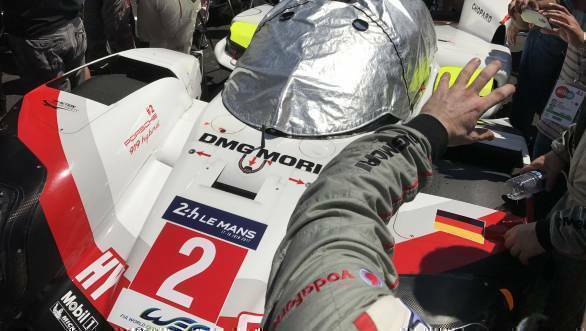 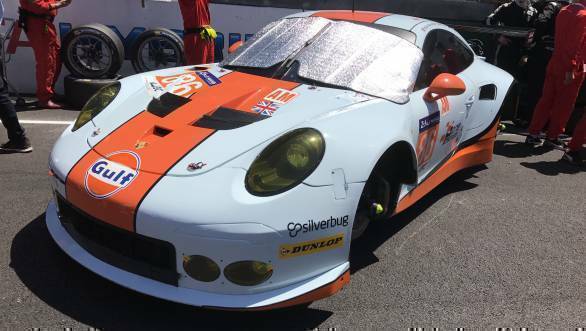 What it's really like on the grid ahead of the big race. 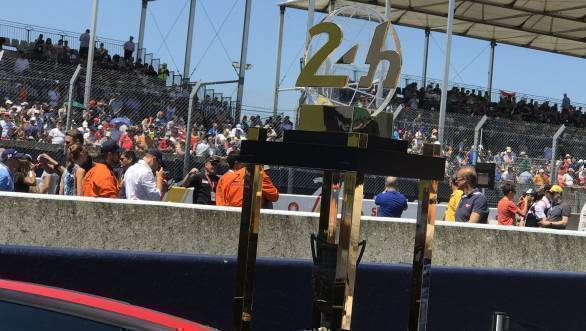 But it's so terrific that Le Mans attracts as many fans as it does!